Our most advanced laundry pacs yet. For the first time, liquid and powder come together in one revolutionary laundry pac that delivers an astonishing clean for every load. Plus, it keeps clothes whiter and brighter than the leading pacs. Get ready to get wow’ed. 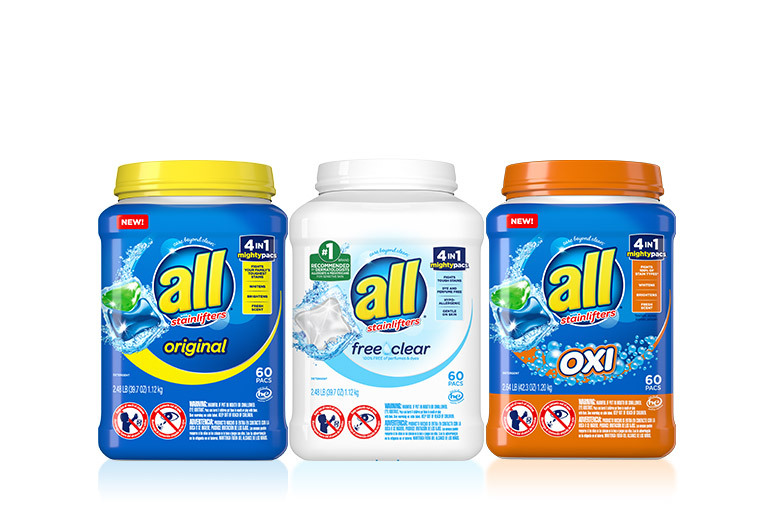 all® concentrated liquid detergents, adapted to fit into small laundry pacs. Tired of pouring? 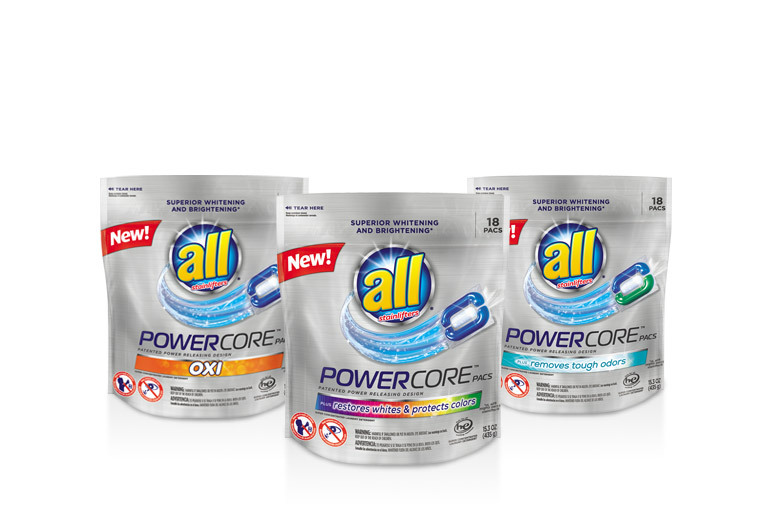 all® mighty pacs® can be tossed right into your machine for a strong, efficient clean. Piece o’ cake. 100% fragrance-free and dye-free hypoallergenic detergents, fabric softeners, and dryer sheets for sensitive skin. 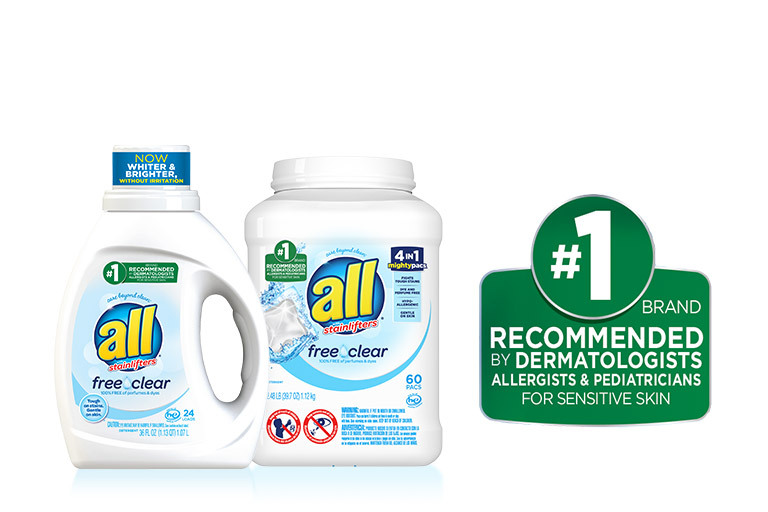 The #1-recommended detergent brand by dermatologists, allergists and pediatricians, all® free clear products are what you need to care for your family’s sensitive skin. 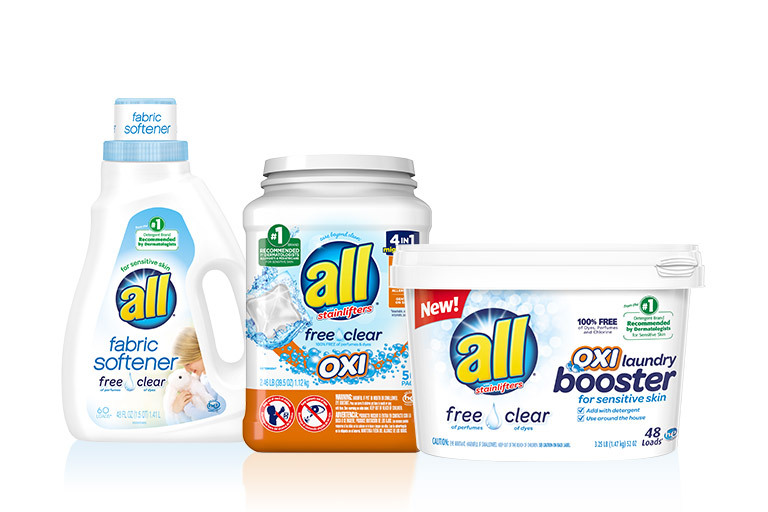 Powerful laundry detergent for stain removal. These powerful detergents are full of concentrated cleaning power, In-Wash Pre-Treaters and over 50 years of experience in fighting tough kid stains. 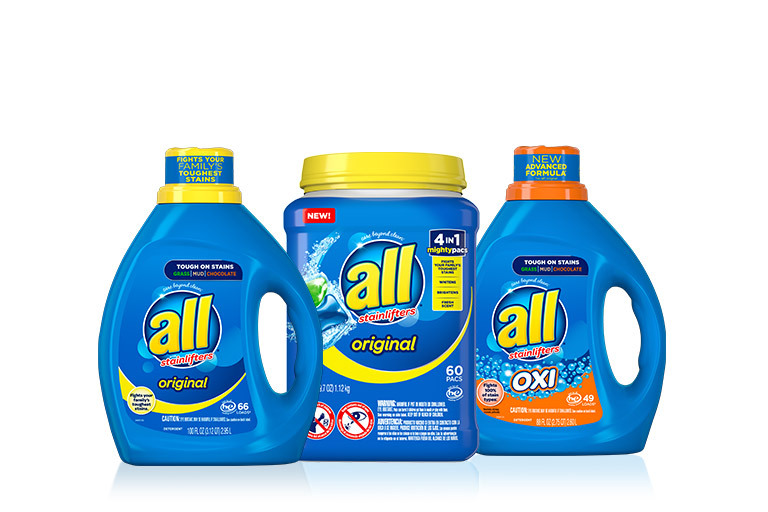 Full lineup of all® liquid detergents, laundry pacs, dryer sheets, fabric softener and more! Choose which form is best for cleaning your family’s clothes, thanks to our variety of laundry methods.